When Belgium and the Netherlands sought to develop offshore wind farms near the Scheldt estuary, conflict soon arose with the shipping sector. It soon became apparent that a sectoral approach to planning for offshore wind developments was insufficient in this case. The Dutch government is planning to increase the number of offshore wind farms in the next decade. In order to reduce their impact on marine traffic, options are being considered for opening some of the future wind farms for transit and co-use. AIS-based visualization reveals that planned offshore wind developments off Hiiumaa Island are crossed by intensive shipping traffic. This spatial overlap is creating a critical transnational and cross-sectoral planning issue that needs to be resolved before wind farms are built there. One of the busiest and shipping intensive areas in the world is the English Channel, which makes the area a major concern for choke points especially for OWF development. Maritime transport and offshore wind can come into conflict when new offshore wind farms are to be built or existing ones expanded – e.g. into areas where shipping activity is intense. Most of the conflicts are triggered by concerns about possible accidents and diversion. Risk of accidents. The risk of accidents is increased by increased traffic density and reduced sea space, which might lead to the creation of choke points. Certain layouts of offshore wind farms are also riskier in terms of accidents than others, which can become an issue in case there are problems with a ship's on-board navigation equipment. O&M (operations and maintenance) vessels might also pose a risk – and be at risk themselves - while crossing major shipping routes en route to an offshore wind farm. Maritime accidents can lead to large financial losses for all parties involved. In the worst-case scenario, such accidents can lead to human casualties or serious environmental damage. Diversion. Offshore wind farms may lead to additional costs for the maritime industry — if for example, vessels have to be diverted to take a longer route. Diversion can lead to following problems for the shipping sector: (1) Increased time and fuel spent, more greenhouse gas emissions, higher wages for the crew; (2) Financial penalties from the charter; (3) Higher insurance costs due to riskier routes; (4) Compliance with national and international law. Some countries have areas where certain restrictions apply, such as PSSAs in the Baltic; (5) In case of short sea shipping, longer transit times which may make short sea services unable to compete with land-based transport services. 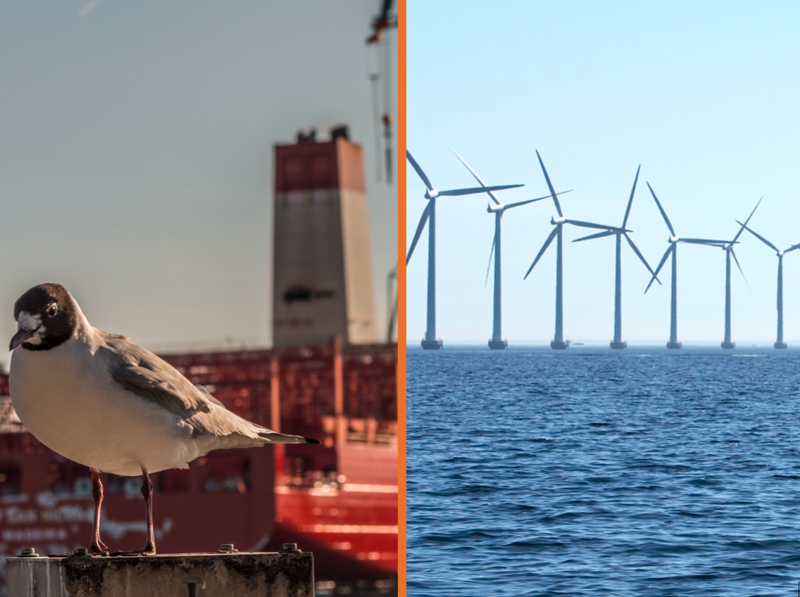 Conflicts between offshore wind farming and shipping occur mainly in the North Sea, Irish Sea and Baltic Sea where a large number of OWFs already exist and are planned. In small sea spaces such as Belgium and potentially the English Channel, limited spatial alternatives is a major issue. Countries apply different management regimes: In Belgium and Germany, wind farms are considered maritime exclusion zones, a policy designed to prevent accidents which require SAR (Search and Rescue) actions or lead to damage to turbines. In the UK and Denmark, wind farms are open for transit and both commercial and recreational use. The EU, as well as the EU member states have set themselves ambitious renewable energy targets. 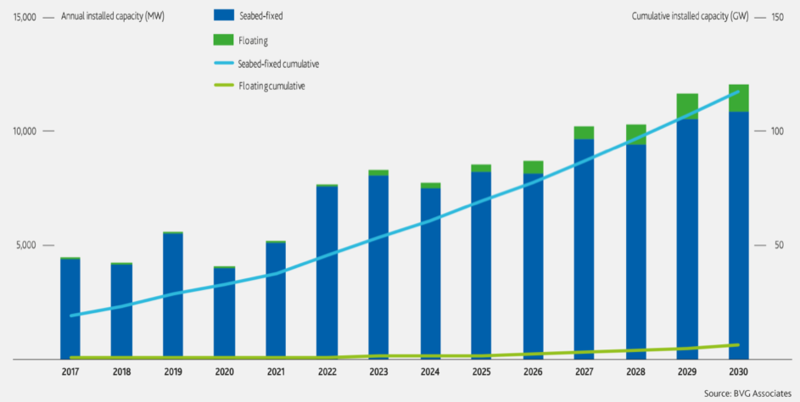 Confidence in offshore wind farming has grown due to technological maturity and falling costs, and expectations are that capacity will continue to increase globally and in Europe. Countries apply different regulatory regimes in regards to transit of vessels through the wind farms. Most of the Member States have stringent processes in place requiring OWF developers to demonstrate that they have thoroughly assessed the maritime risks and implemented adequate risk management measures. In Belgium and Germany, wind farms are considered maritime exclusion zones, a policy which is designed to prevent accidents which require SAR (Search and Rescue) actions or lead to damage to turbines. In the UK and Denmark, wind farms are open for transit and both commercial and recreational use. No special requirements regarding vessel equipment or limit on the vessel size are imposed. Traditionally, maritime risk assessment and management is usually conducted in the licensing and approval stages of OWF project, rather than during the Maritime Spatial Planning process. This has led to problems where marine-areas-as-planned are often not the same as marine-areas-as-approved. Consequently, there have even been cases where coastal states have had to alter shipping routes or retroactively modify OWF layouts, leading to complaints from stakeholders and ineffective use of sea space. In Belgium, the conflict between the offshore wind farm developments and shipping was a trigger for MSP as a whole as there was a need for a more holistic and integrated approach to planning offshore wind farms. Consultation with the shipping and offshore wind industry is a crucial first step in preventing this conflict. A thorough review of existing legislation and understanding of the complexity of the problem is another important prerequisite. In Belgium and the Netherlands (story 1), meetings of the Joint group were held twice a month, starting with explanations on how shipping works, the constraints acting in this case and the fact that moving a shipping lane is not a simple process. Ideally, shipping lanes would be defined in a collaborative process, making sure the concerns of both sides and existing legislation (e.g. shipping safety) is fully considered. It is useful to form a consultation group to collect data and discuss the rerouting options. In the UK, the Nautical and Offshore Renewables Energy Liaison (NOREL) group is used a forum for government and industry from the two sectors to discuss and consult on matters related to navigation safety and OWF. In the case of Dunkirk/France (Story 5), the regional consultation process was used to engage with various stakeholders to discuss alternative scenarios and measures to address potential conflicts. Apart from relevant authorities, associations and OWF developers, engagement of current and former vessel operators is highly important as to collect the right data on shipping routes and other technical aspects, as was done in Belgium and the Netherlands. Formal Safety Assessment – a qualitative assessment of the impact of the proposed measures on safety, based on local knowledge and expertise in shipping (expert judgement). This included a so-called HAZID workshop with all relevant stakeholders including captains/pilots, port operators, shipping representatives, etc. Quantitative Risk Assessment based on a validated risk model (number of collisions, economic consequences, etc.). This contained two scenarios - with and without proposed risk control options. The SAMSON model is one option for assessing risk in all situations and for considering collisions and other possible outcomes. The SAMSON model relies on AIS data to calculate the risk of navigational accidents in the locality of offshore wind farms. It calculates and compares the probability and consequences of navigational accidents for various base-case (i.e. no OWF) and future case (i.e. OWFs in different layouts/locations) scenarios. The model can also consider various factors such as ship types, sizes and speeds, effect of OWTs on ships’ navigational equipment, as well as static and dynamic environmental factors, etc. assess the economic and efficiency-cost of various risk control options (e.g. re-routeing), and supplement the cost-benefit analyses of different routing options. the minimal distance to an anchorage area should be 4 nautical miles. To avoid possible spatial conflicts, OWF construction works or major maintenance activities can take place at selected times of year when shipping is less busy. For example, analysis of seasonal variations in traffic in 2016 showed that summer months are clearly the busiest in all parts of the North Sea including the coast of UK, i.e. the route from the English Channel to the entrance of Skagerrak and around the south coast of Norway. Subsequently, port areas and inland waters are also busier. This information was obtained by plotting the the Vessel traffic in 2016 from AIS (Automatic Identification System) data in density map format from European Maritime Safety Agency. European Maritime Safety Agency (EMSA) tasked all national governments in the North Sea to collect AIS information from their maritime areas and supplement it with data from other countries. carry radar reflectors that provide a minimum recommended radar cross-section. use a Personal Life Beacon (PLB) or AIS-SART device for each crew member, independent of vessel size. The radar reflectors that provide a minimum recommended radar cross-section allow for effective SAR (search and rescue) action within and in proximity of the wind farm. A Personal Life Beacon (PLB) or AIS-SART device for each crew member, independent of vessel size, allows for tracing vessels within and in proximity to the wind farm. This is particularly important in case of small recreation vessels (less than 24m) which might not carry AIS and can lead to misrepresentation of shipping traffic density. Research from the SIMCelt project therefore recommends that planning authorities, shipping and navigational safety agencies should use radar, engagement with stakeholders e.g. shippers and local knowledge to determine vessels routes and to account for the data gaps in traffic density representation. Research done under the BalticLINES project recommends that when designating an area for offshore wind farming, authorities should also consider the specialized or smaller ships needed for construction and maintenance. While it is important to consider new shipping lanes as part of spatial management, it is also important to foresee safe crossings for these specialized vessels. A Navigational Risk Assessment (NRA) is usually conducted by offshore wind developers to obtain approval for their projects. Through this process, developers can demonstrate to approval authorities that their projects do not pose unacceptably high risk to maritime activities, and avoid conflicts in terms of impact on navigational safety and efficiency. Incorporating NRAs into the MSP process could substantially help to close the gap between marine-areas-as-planned, marine-areas-as-approved, and operational scenarios. For example, Belgium and the Netherlands have already started using NRA tools during their MSP processes. In the Netherlands, an NRA is used by authorities (i.e. MIW and Rijkswaterstaat) for approving the OWFs by comparing base-case with future-case scenarios. The results of the NRA are presented to developers, along with specific design specifications for potential wind farms. The authorities are then responsible for ensuring that developers adhere to the guidelines during the approval and licensing phase. Existing international guidelines such the AtoN strategy and the International Association of Marine Aids to Navigation and Lighthouse Authorities (IALA) guidelines on MSP can be applied during the pre- planning and development stage of offshore wind farms to mitigate risks such as choke points and foster cross border coherency. Sectoral agencies should be familiar with the guidelines other agencies have in place so as to better understand how they approach MSP. The UK authorities have extensive experience with navigational risk assessments which is reflected in multiple published guiding documents for OWF developers including ‘Methodology for assessing the marine navigational safety and emergency response risks of offshore renewable energy installations’ (MCA 2013) and ‘MGN 543 (M+F) Safety of Navigation: Offshore Renewable Energy Installations - UK Navigational Practice, Safety and Emergency Response’ (MCA 2016). These documents also provide a comprehensive list of factors (e.g. vessel traffic, types of vessels, traffic characteristics, location of routes, routeing measures, bathymetry, waves, winds, currents, OWF layout, OWT marking and lightings, effect of turbines on navigational equipment, etc.) – as well as non-exhaustive list of stakeholders (e.g. RNLI, lighthouse authorities, Chamber of Shipping, recreational shipping, local fishermen, ship-owners and operators, etc.) that need to be considered during a NRA.